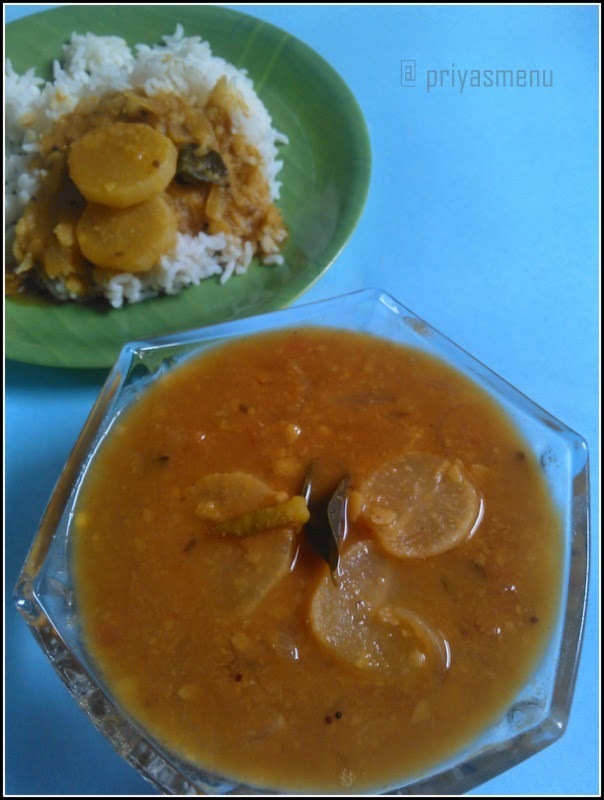 Mullangi / Radish Sambhar is one of a flavorful sambhar and has a delicious taste. 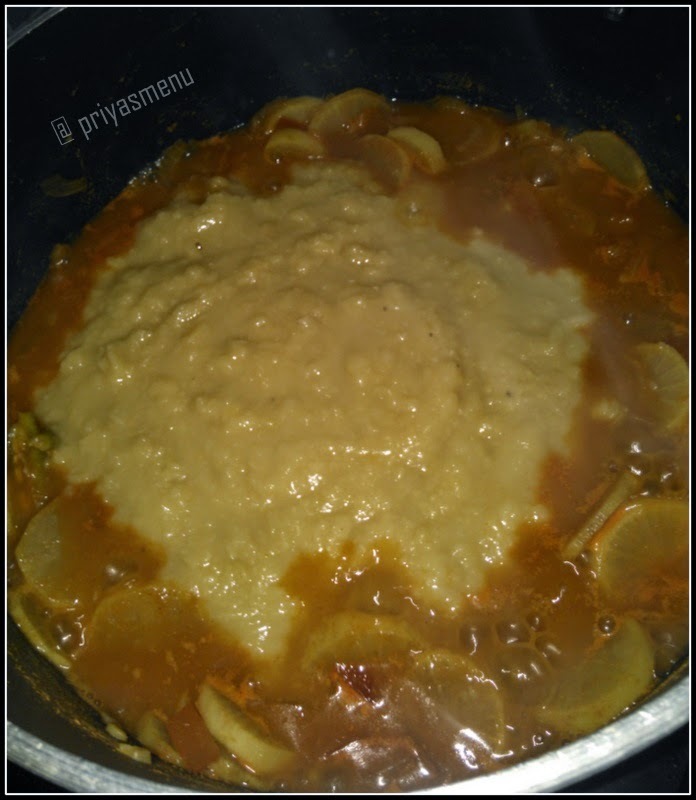 This is my mom style of preparation which my brother likes the most and our family's favorite recipe. 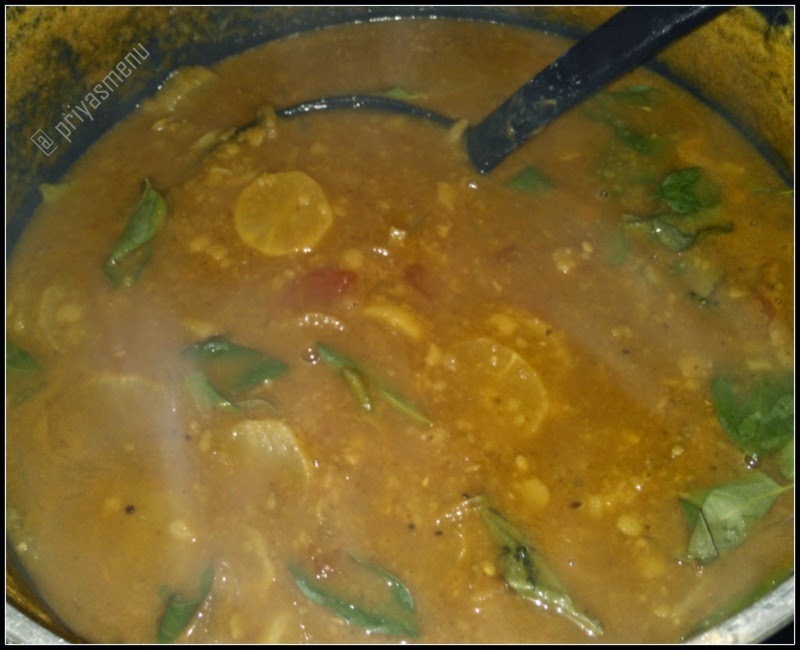 Veggies are cooked along with sambhar powder which is called kuzhambu Milagai Thool and then added with dal and Tamarind extract. 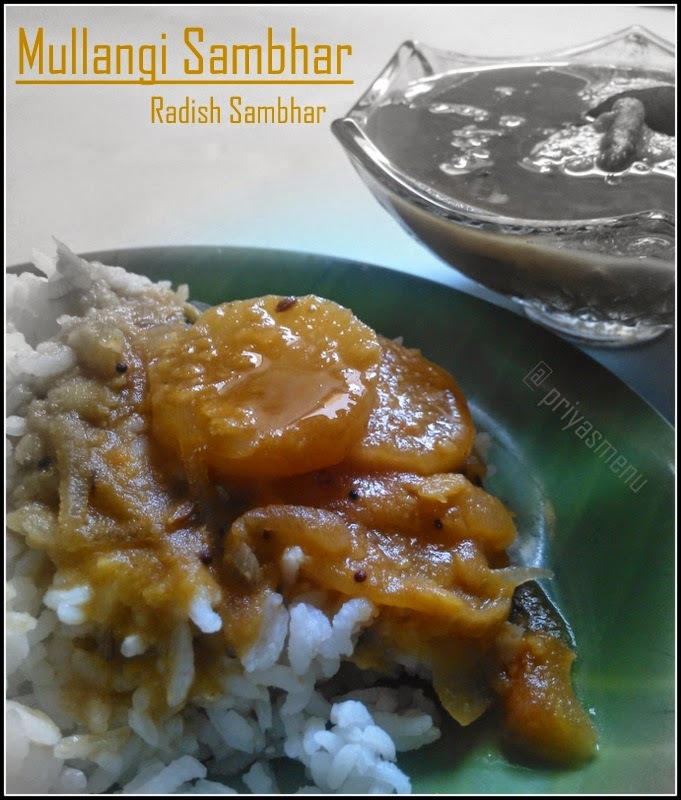 The unique taste of radish enhances the flavor of sambhar. Vadagam, an Indian seasoning can also be added as tempering instead of Mustard and Jeera. 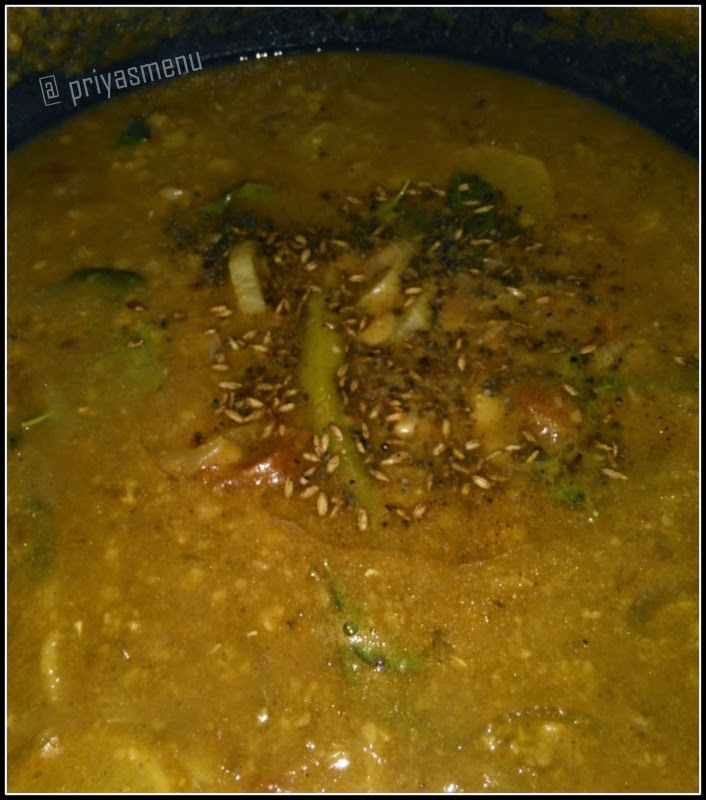 We do not saute veggies for some varieties of sambhar but it can also be done. 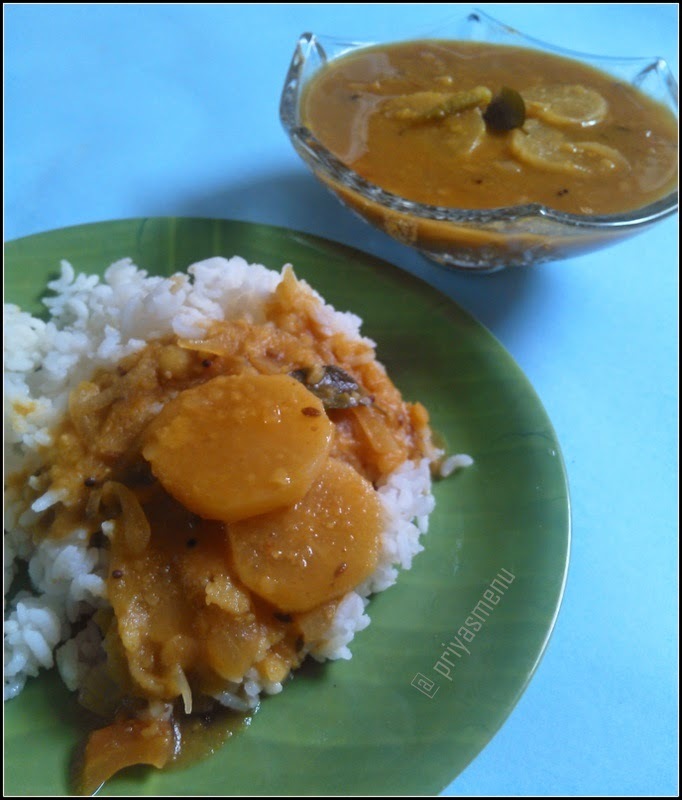 This flavorful sambhar is served with hot rice along with spicy side dish or pickles. 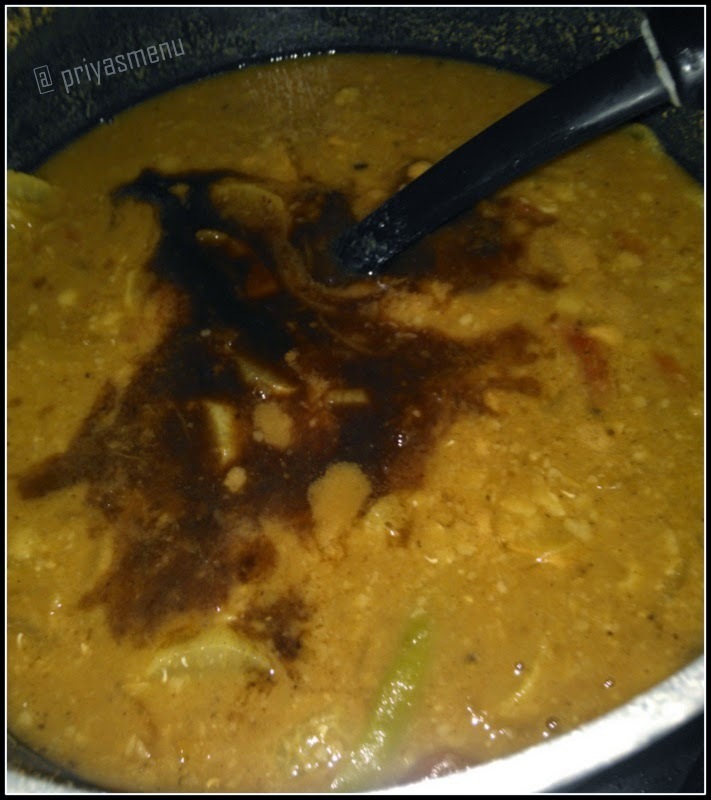 Cook Toor dal in a pressure cooker for 5-6 whistles or till it turns soft and keep aside. Soak Tamarind in one cup of water. 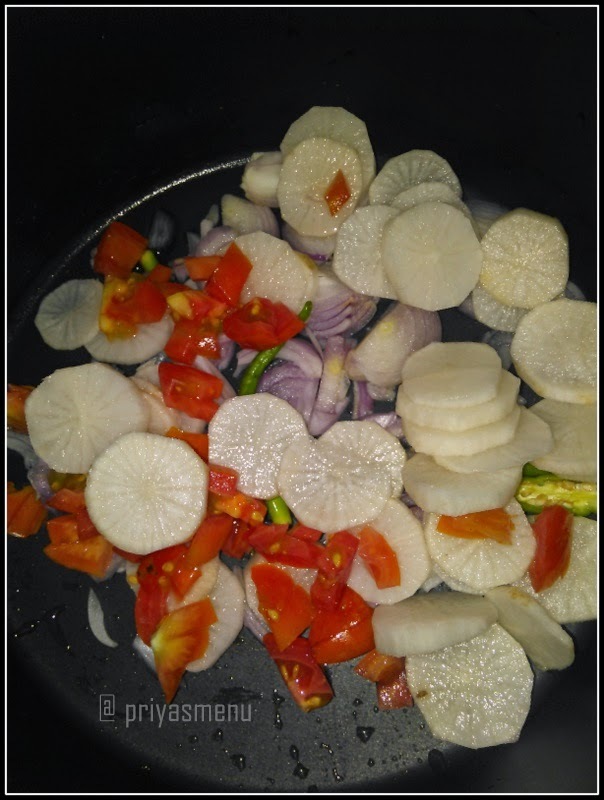 Add Onions, Tomatoes, Green chillies and Radish in a pan or cooking vessel. 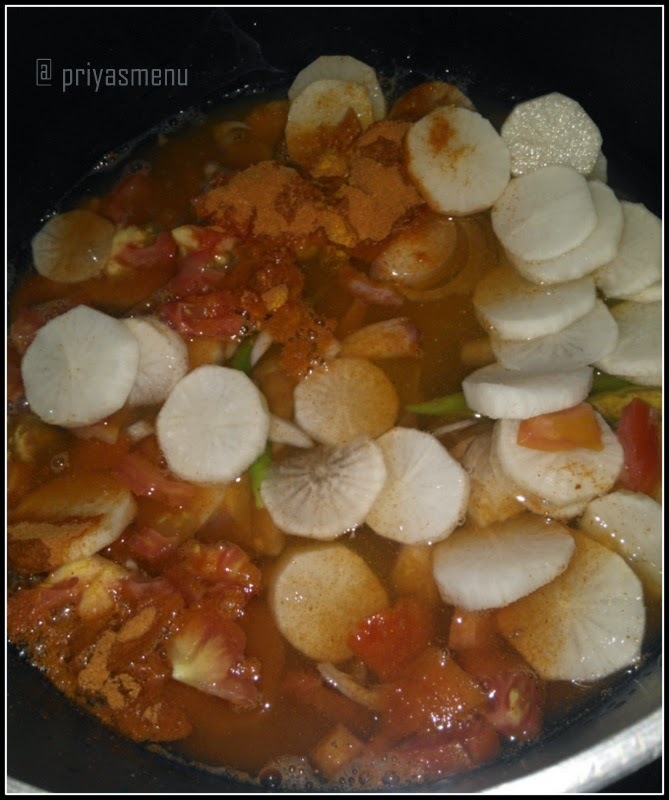 Add sambhar powder / Kuzhambu Milagai Thool followed by Turmeric powder and salt. Add 2 cups of water,close and cook till the radish gets cooked. Meanwhile, extract Tamarind water from the soaked Tamarind and keep aside. 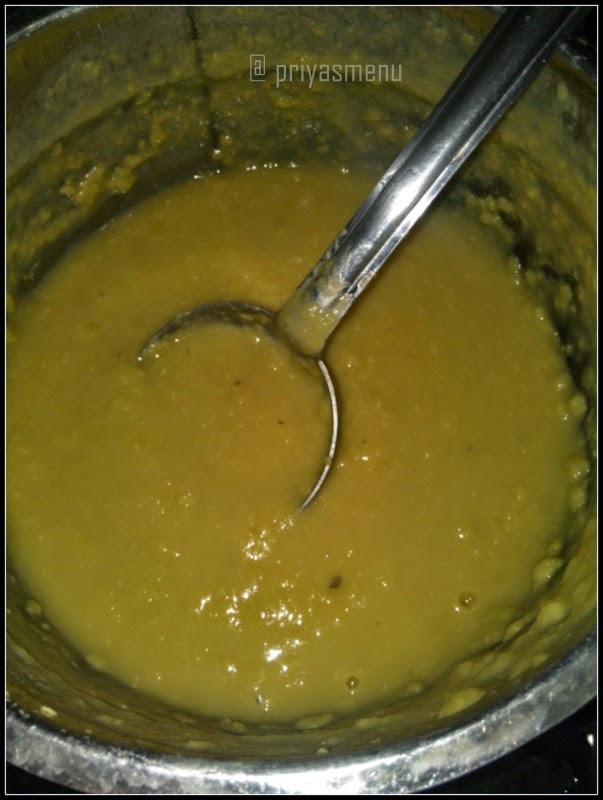 Once radish gets cooked, add the cooked dal followed by Tamarind extract. Cook for another 5 - 10 minutes in a medium flame and add curry leaves (or Coriander leaves). Once it starts spluttering, add cumin seeds / jeera and hing. 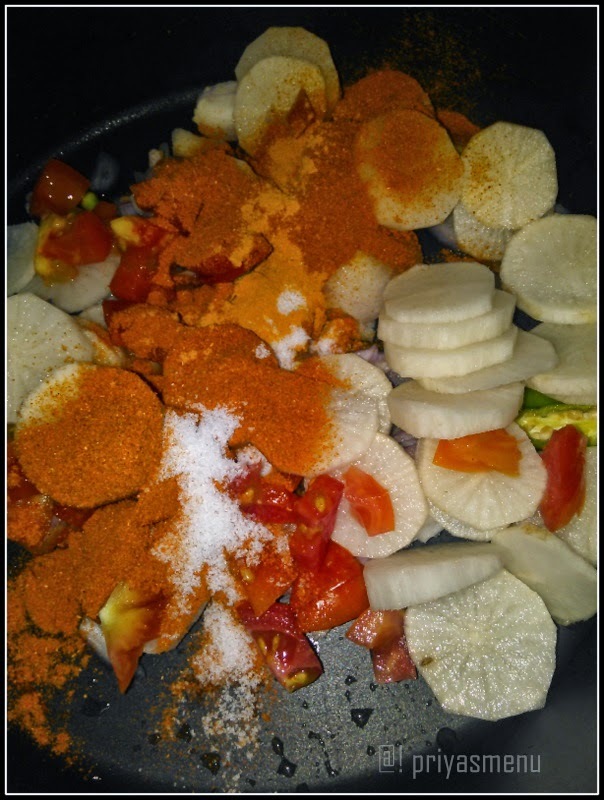 Add this seasoning to the sambhar and mix well. 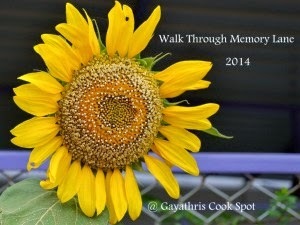 Serve with hot rice and any curry/fry like potato fry, Raw plantain fry or pickles. 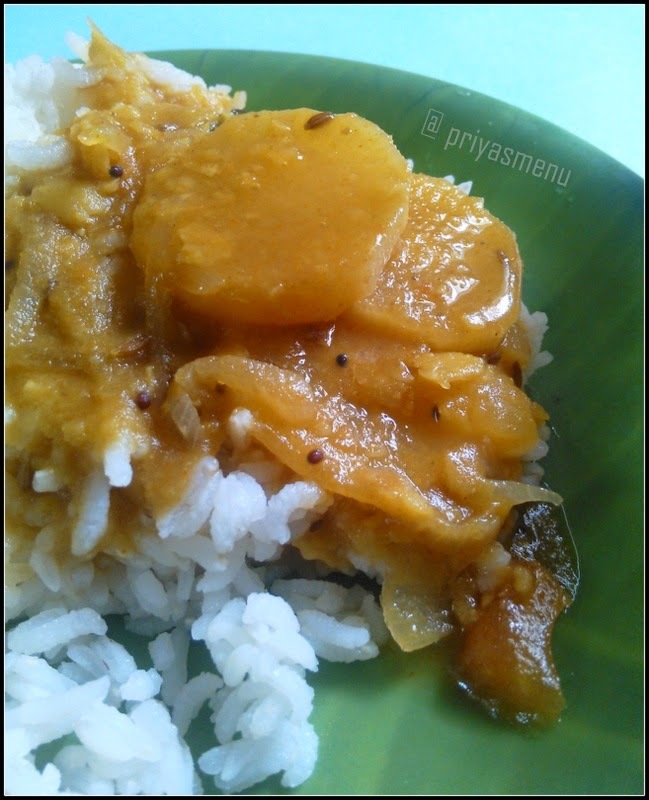 Linking this recipe with Gayathri's "WTML"
Hi Priya, Delicious and healthy Sambar recipe...your pictures are sooooo inviting....yummy..
Love sambar with radish.. looks delicious..